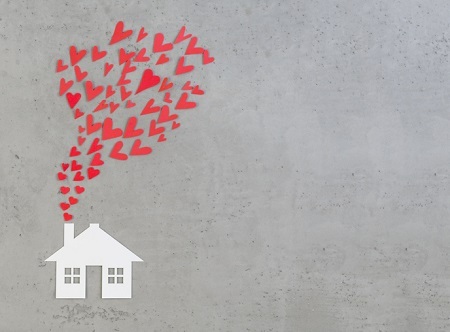 Whether you’re celebrating yourself or a special someone this Valentine’s Day, here are a few simple ways you can dress your space for the love-themed festivities. Easy wall art. Whether it’s a quote you print, a chalkboard with a sweet saying, or a favorite photo of you and your significant other, framing some special love-themed art and hanging or propping it around your house can add some easy, lovey vibes that are simple to take down after if you wish. Flowers. Nothing brings a smile to a face faster than fresh flowers. Pick up a few bunches from your florist and drop them around your space – on tables, in corners, wherever you think your home could use a fresh burst. Get crafty. Return to your childhood and stock up on construction paper, lace, scissors, tape and glue. Create some heart-shaped wall decorations to hang around your table if you’re having a romantic meal at home, on the headboard of the bed, or the front door to welcome yourself or your special someone. Elegant accessories. If heart-shaped decor isn’t your thing, go with a color scheme instead. Drape your couch or bed with a deep red blanket, add some rosy pillows or even swap out your curtains for a subtler pop.